The Arclinea Winery Collection comprises tasting rooms and professional wine cellars for private homes, wine companies, restaurants, hotels and food stores. 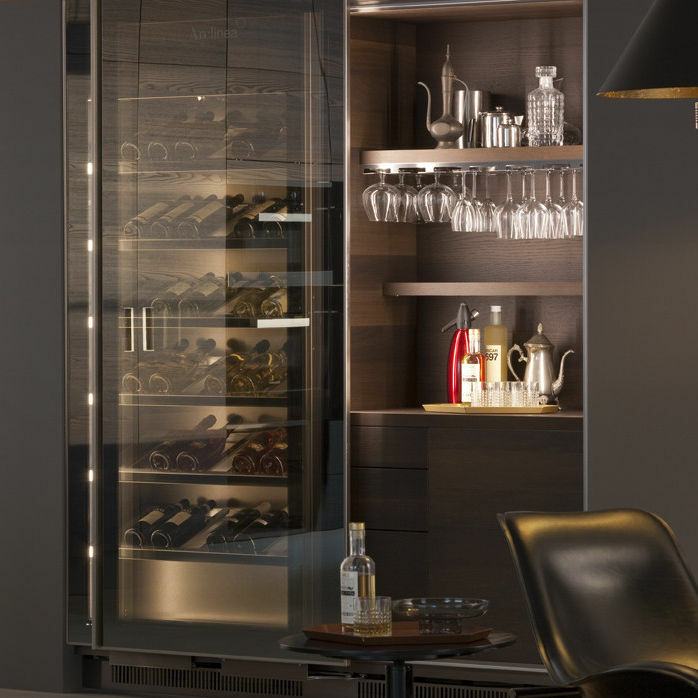 VINA, the refrigerating wine unit, is designed for storing wines at an optimum temperature ready for drinking at home or in the restaurant. Available in widths 180 cm and 240 cm, it has a Stopsol double-glazed door with coplanar closing system, internal LED lighting with volumetric sensor. Vina maintains an internal temperature of 12°C to 16°C and relative humidity at >60%. VINA EPICURE, meanwhile, combines a wine unit with a mobile Beverage Centre complete with humidor for optimum storage of cigars. 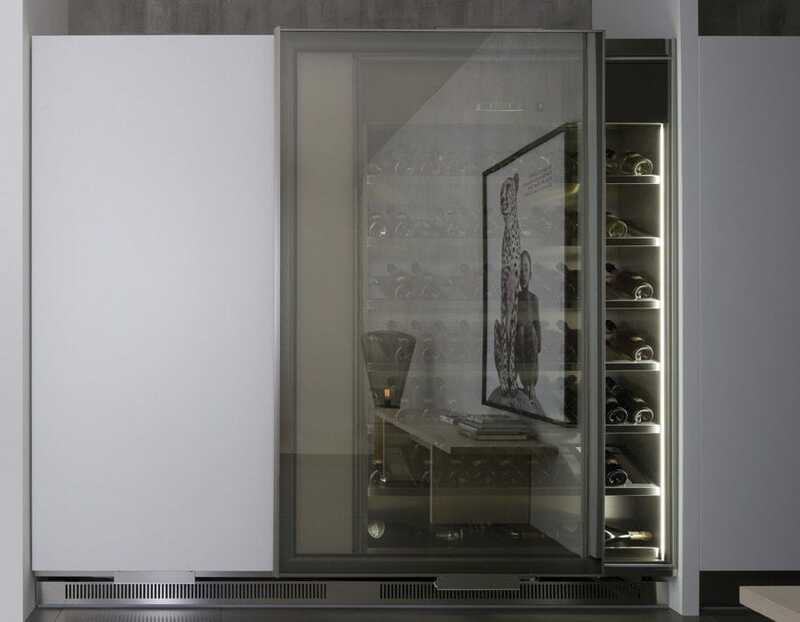 VINA&DISPENSA, half pantry, half refrigerating wine unit with large pull-out internal drawers, coplanar doors and top-to-bottom profile handle. 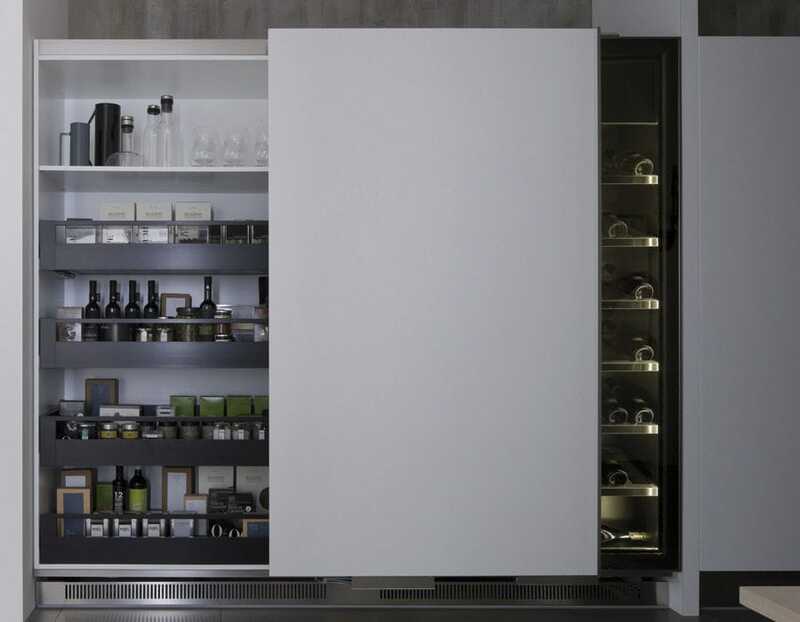 The unit can be designed with any of the doors from the collection in a total length of 180 cm (90 cm Vina + 90 cm pantry) or 240 cm (120 cm Vina + 120 cm pantry).